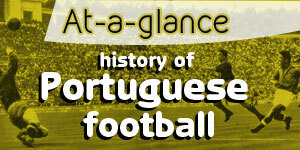 After a couple of weeks of international and cup football to sink our teeth into, the Primeira Liga returned with a whole host of emblematic encounters to get the mood rolling again. First on the agenda was a derby, no less, as second-placed Sporting de Braga were made to settle for a point away to Vitória de Guimarães in a 1-1 draw, last Friday. The shock of the round was reserved for the iconic Jamor stadium, where Benfica picked up their first league defeat of the season after losing 2-0 to Belenenses, with FC Porto capitalising on the result to top the table, defeating Feirense 2-0 at home in the process. Also fired up were Sporting, who returned to winning ways in the league with a 3-0 victory over Boavista at Alvalade. 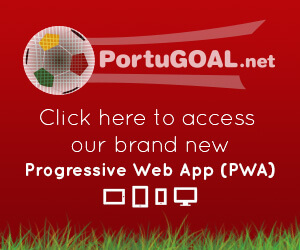 PortuGOAL brings you the best of the action. Abel Ferreira’s men may well have set their sights on bigger things for the foreseeable future, but it was back to settling the dated argument over who is the fourth powerhouse in Portuguese football on Friday night, as the two northern outfits went head-to-head in the Minho derby. It was advantage Guimarães in the 13th minute, as Alexandre Guedes reacted quickest to Davidson’s in-swinging cross from the left to head in the opener for his team. Braga’s reply came via Claudemir in the 18th minute, picking up the spares from a set-piece routine to equalise at the back-post with a scrappy finish. The quest for the second goal ensued in the second period, as Davidson saw one tame attempt cleared off the line before both sides exchanged dangerous crosses into the box. Braga’s Dyego Souza thought he’d made use of one in the 73rd minute when powering a header in from the back-post, but the Brazilian striker was soon pulled back for offside. The winner never came for either side, but the point was enough for Braga to sit top momentarily on 18 points. After Tuesday’s 1-0 loss away to Ajax in the UEFA Champions League, the mood around Benfica has been rocked a fair bit, with Rui Vitória’s men tasked with making amends versus Belenenses; a team whom they failed to beat away from home last season. It was all Benfica in the opening 20 minutes, as Rafa Silva, Haris Seferovic and Gedson Fernandes all saw opportunities halted by a desperate Belenenses backline. Even via the penalty spot, Eduardo Salvio found no way through Muriel in the 31st minute, as Eduardo showed the Eagles how it’s done from the 12-yard-mark when placing the hosts ahead, against the run of play. Eduardo took centre stage once more on the brink of half time when leading the counter and threading a pass through to Alhassane Keita who, one-on-one, slotted his finish into the bottom corner for the hosts to take a shock 2-0 lead into the break. Muriel continued to star between the sticks in the second period, meanwhile Odisseas Vlachodimos also did his bit at the other end to avoid Licá snatching a third goal. The Belenenses shot-stopper saved the best until last when denying André Almeida’s glancing header from nestling into the bottom corner, as a 2-0 defeat saw Benfica slip off top spot. With first place at stake, Porto welcomed to the Dragão a Feirense side that’s yet to hit its stride deep in mid-table, as they searched for their first point on the road since late August. The Dragons wasted no time in finding the back of the net twice in the first 25 minutes, but each effort was accompanied by a VAR review, chalking off the first attempt by Moussa Marega before the fine margins in Felipe’s header at the near-post saw the decision sway in the Brazilian’s favour, as Porto led by a goal. From close range, Yacine Brahimi could only thrash an out-stretched effort onto the under-side of the bar in the 41st minute, as Marega also went close a couple of minutes later when attempting to squeeze a shot under the keeper’s legs. There was more work for the referees at either end in the second half, as Tiquinho Soares and, more controversially, Fábio Sturgeon were both judged to be offside in their efforts to alter the score-line. Marega added greater comfort to Porto’s night with ten minutes to go, reacting first to Caio Secco’s save on his initial attempt to eventually turn in the second goal of the night. Sérgio Conceição’s men searched for more goals in the remaining moments of the game, but a 2-0 victory would be enough to propel them back to the top, alongside Braga. Following a series of less-than-convincing performances from José Peseiro’s Sporting, the ambient is steadily turning sour around Alvalade, as the Lions looked on get back on track at home to Boavista. The Lisbon outfit started brightly, but that was almost undone in the 5th minute via Mateus, as the Angolan forward arced an effort from distance against the far-post. Sporting picked the spirits back up on the half-hour mark, as Nani popped up inside the box to nod in the game’s first goal. The hosts pressed on for more in the second period, as Bruno Fernandes found the top of the crossbar in the 57th minute from a free-kick moments before finding the top-left corner with a stunner from the edge of the box, courtesy of Abdoulay Diaby’s cut-back. 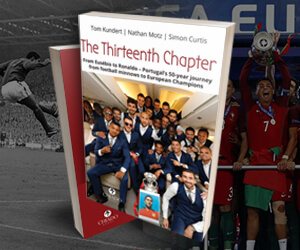 In the 66th minute, Nani would find the same corner when volleying against the ground to great effect, as the Portuguese winger picked up a brace and set Sporting cruising to a 3-0 victory. There was still time to welcome Bas Dost to the party, after a lengthy spell out injured, but with Sporting’s account closed for the night, the win saw the fifth-placed side cut the gap between them and top spot to just two points. Have to admit the call to allow Felipe’s offside goal was farcical and does the Liga/Portuguese football/VAR no credit. Overall a better performance by Porto with Oliver Torres shining in midfield and showing the kind of distribution skills Porto might find useful against the bigger teams in the Champions League. Sergio doesn’t seem to trust him but if Herrera goes he’ll have no choice! Was it just me or were there a few whistles for Hererra when he came on? Once again Andre Pereira looked dangerous when he plays and Soares is showing what a beast he can be. Nice to see Brahimi dictating play. Some interesting results this season and the table looks good.